After stealing the dancehall spotlight recently with his controversial single "Introduction To The Media", Hollywood based recording artist Jey Marc is back with a new video for his commercial single "Warn Har" which was produced by internationally acclaimed producer Cordel "Skatta" Burrell who's production credits include tracks for Bounty Killer, Beenie Man, Vybz Kartel, Rihanna and Lil John. 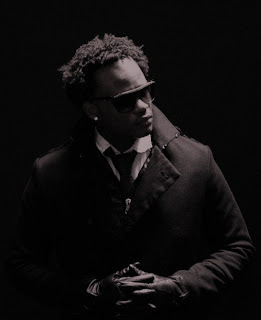 The video which was directed by Omar Derby premiered online last week and already it has created a buzz, with over 2,000 views each on popular youtube channels like Kez876, CJKing Entertainment, JJEva Frass and Rolex Return. "Warn Har" will also hit local and international TV stations later this week and anticipations are high that the video will further establish Jey Marc as a credible new artist in the dancehall arena. Born and raised in the quiet town of Port Antonio in Portland Jey Marc migrated to Los Angeles California in 2004 where his ambition for a higher education led to him enrolling in the New York Film Academy at Universal Studios Hollywood. Here he successfully completed the 4 year degree program which consisted of Film Making, Acting, Music and Voice Training then later attained a Masters in Film Making & Broadcasting. A dynamic and well rounded individual Jey Marc later ventured into business as a young entrepreneur and founded Starlight Music Group, a Multi-Media Consultation Firm specializing in labels and artists relationship development. Starlight Music Group who currently has offices in LA, Miami and New York networks with major industry players including Sony Music Group Entertainment, Warner Music Group, Universal Music Group and Def Jam Recordings to get independent artists signed.